Want to see all the technologies used by jst.go.jp? apan Science and Technology Agency (JST) is an integrated organization of science and technology in our country that establishes an infrastructure for the entire process from the creation of knowledge to the return to the society. Japan Science and Technology Agency (JST) is one of the core institutions responsible for the implementation of science and technology policy in Japan*1, including the government’s Science and Technology Basic Plan*2. From knowledge creation—the wellspring of innovation—to ensuring that the fruits of research are shared with society and Japan’s citizens, JST undertakes its mission in a comprehensive manner. 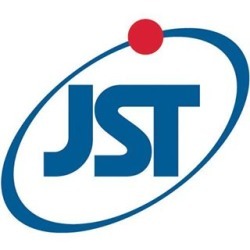 JST also works to provide a sound infrastructure of science and technology information and raise awareness and understanding of science and technology-related issues in Japan. For a quick look at additional technographic info on jst.go.jp or any domain on the web, download our Chrome Extension. Check out our help article to see how Datanyze Insider can help you.